In August 2018 the BBC published an article online about a woman in the Netherlands called Aurelia Brouwers. The full article can be found here. The article went on to explain that in the Netherlands euthanasia is permitted if a doctor is satisfied a patient's suffering is "unbearable with no prospect of improvement" and if there is "no reasonable alternative in the patient's situation". Although most euthanasia candidates in the Netherlands have terminal or otherwise untreatable medical conditions, 83 people with mental health issues were subject to euthanasia in 2017. Only around 10% of requests for euthanasia from people with psychiatric conditions are approved. When I was 12, I suffered from depression. And when I was first diagnosed, they told me I had Borderline Personality Disorder," she says. "Other diagnoses followed - attachment disorder, chronic depression, I'm chronically suicidal, I have anxiety, psychoses, and I hear voices. On 26th January 2018 she was given the poison that would kill her and took it. Readers of this blog will know that I continue to be troubled by people with mental disorders either being allowed to die,or facilitating their deaths. 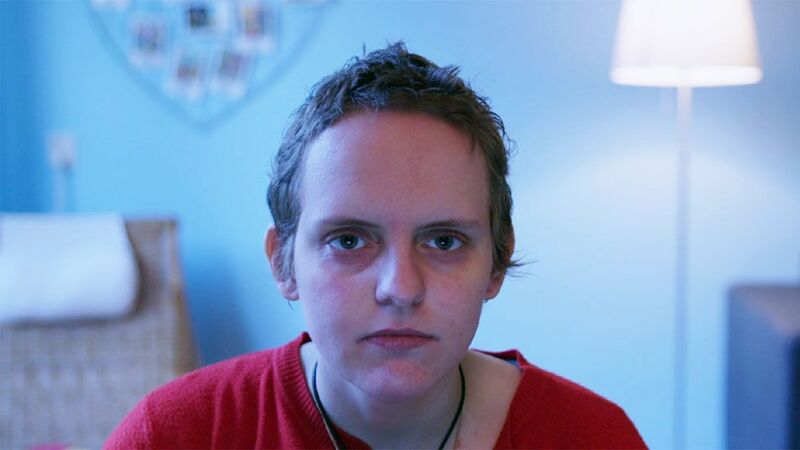 Assisted suicide, which is what euthanasia is, remains a criminal offence in the UK, so cases like Aurelia Brouwers cannot happen here. That is not to say that there are no cases of assisted suicide, but the incidence of such cases is low. According to the Crown Prosecution Service, between 1st April 2009 and 31st January 2018, there were 138 cases referred by the police that had been recorded as assisted suicide. Of these 138 cases, 91 were not proceeded with by the CPS. 28 cases were withdrawn by the police. This is an average of only around 15 per year. There are currently two ongoing cases. Three cases of assisted attempted suicide have been successfully prosecuted. One case of assisted suicide was charged and acquitted after trial in May 2015 and seven cases were referred onwards for prosecution for homicide or other serious crime. One such case was that of Kevin Howe. He was a friend of Stephen Walker, who while drunk, asked him to buy him some petrol so he could set fire to himself. He duly obliged, and Stephen fulfilled his promise. Stephen did survive, but Kevin Howe was found guilty of attempted assisted suicide, and received a 12 year prison sentence. Another case was that of Lyndsay Jones. She was an acquaintance of Philip Makinson, who was suffering from severe depression and had already tried to kill himself by cutting his wrists. She was a heroin addict, and at his request and with his consent provided him with what she knew to be a fatal dose of heroin. She was convicted of manslaughter, and received a prison sentence of 4½ years. It is significant that both these cases involved people with mental health problems rather than terminal illness. In one of these cases, the person who “assisted” the person wishing to kill themselves did so with deliberate malice. According to the CPS, it is less likely to lead to a prosecution if the person assisting “was wholly motivated by compassion”. In these situations, this was certainly not the case. However, there are situations in which people with mental disorder have been permitted to die, either through no action being taken to save life, or through a decision of the courts to cease lifesaving treatment. One such, of course, is the case of Kerrie Wooltorton, which I have discussed at length in two blog posts, most recently in June 2018. Kerrie took a fatal dose of antifreeze, and because she had written an advance decision to withhold treatment, the doctors in the A&E department allowed her to die. I am thankfully not aware of any other incidences in which an advance decision has been made, or allowed to stand, for a person with mental disorder. There have also been Court of Protection decisions relating to people with mental disorder, where a decision has been taken to cease lifesaving treatment. One, the case of C from 2015, concerned a woman with narcissistic personality disorder who did not wish to continue treatment for the effects of a serious overdose because she had “lost her sparkle” and no longer wanted to live. There have also been two other cases, the case of X and the case of W, both of whom had anorexia nervosa, where the decision was made not to continue with forced treatment for their disorders. There is an essential difference between a regime in which someone with mental disorder can legally be assisted to end their own life at their request, and one where it is necessary for a court to make a situation specific decision regarding whether or not to continue to provide lifesaving treatment for the consequences of a mental disorder. With the former, there is always the risk that a clinic specialising in assisting suicide, which presumably would expect to receive payment for the service, may not be sufficiently rigorous in deciding whether or not someone has the capacity to make a decision that will end their life. Indeed, it could be possible for a rogue clinician to encourage people to die. There are several examples of doctors and nurses who have deliberately killed their patients. A British one is of course Dr Harold Shipman. Another currently in the German courts is Niels Hoegel, a nurse who has admitted killing at least 100 patients under his care. My basic position stands, which is that no-one who wants to end their life because of their mental disorder should be permitted to do so if it can be prevented. This is one of the basic principles that informs my practice as an AMHP. Furthermore, the resources should be in place to reduce completed suicide as much as possible. In October 2018, Jackie Doyle-Price was appointed as Minister for suicide prevention. This was in response to the fact that suicide is now the leading cause of death in men under 45 years in age. Unfortunately, despite the recent announcement that £2 billion is being provided for mental health services, this is not actually new money, and in view of the leaching away of funding for mental health care over the last 8 years, even if it was all spent on improving services, it would be unlikely to significantly improve suicide prevention. This report suggested “10 ways to improve safety” in this helpful diagram. It is clear that current services are failing miserably to provide these essential safety strategies, and it is unlikely that the current Government, Suicide Minister or not, has the motivation or will to make a significant difference to suicide prevention. I feel that a patient should be allowed to have the means to have a peaceful death if their mental illness is severe and unremitting and the patient has been discharged from support from a mental health team on the basis that the team feel there is nothing they can provide to support the patient or help them towards recovery. To discharge a severely depressed person because the team feel their input is not beneficial is the point when the patient should be enabled to make their own choices as to how much suffering they are able to bear. What is missing in this is what is the underlying belief system and values the person holds and consideration of this. I dislike the term Euthanasia and prefer Assisted Death. If I have intractable and intolerable mental pain parity means that I have as much right to end my life as someone in physical pain. Severe enduring mental health conditions are a disability with overlying acute symptoms.There comes a time whereby acceptance of the situation is inevitable and if - as in my case- I have always believed in the right to die then this is a decision made with capacity that should be respected. I would want someone to have been offered as much support as possible to live a meaningful life but when it is clear there is no more that can be done then allow me to die with dignity. In lime with my core beliefs. I find it sad that those so young have made this decision but you cant just turn up at Dignitas and say 'kill me i am depressed'- i is a long necessarily complex detailed process. I want peace And my core beliefs to be respected at this stage in my life. I dont see that as suicide. Banning reliable, legal euthanasia for those of us who want to end our unbearable suffering does not stop people trying to take their lives, it just prolongs suffering, forces us to go DIY alone, & results in botched attempts & gruesome surprises for F&F. Other countries are more humane. For someone who purports (and is legally ibliged) the social perspective of mental health, I would argue you seem to have a strong paternalistic and state involvement driven element to your oracrice. If a person who, even with all the best resources, care and treatments no longer wishes to end their life because they no longer want to live with the pain of their condition, that should be their right, subject to capacity and strict legal safeguards. I also take great exception to you mentioning Shipman and the German nurse, these are incredibly rare occurrences and comes across as you attacking healthcare orofeprofessi as being inherently untrustworthy. I am not opposed per se to someone with a terminal illness wishing to end their life, but I am bothered a great deal by assisted suicide being offered to people with mental disorders. It is Government policy, and the policy of many if not all MH Trusts to reduce the incidence of suicide, which is generally associated with mental disorder. If the mental disorder can be successfully treated, then the person would not want to kill themselves. The fact the the Governemnt have starved Trusts of funds to provide adequate treatment and support for people with mental disorder does not justify encouraging such people to take their own lives, with or without help. I don't think thinking that is paternalistic. And by the way, there was a case in the Netherlands only last week, where a doctor administered a chemical designed to end the life of an elderly woman in spite of evidence that appeared to indicate that the woman was objecting to this procedure. Why not join? With over 5400 members, it's an ever growing, but nevertheless friendly and supportive group. AMHPs, AMHP trainees, social work and nursing students, service users, carers and relatives, and others with a professional or personal interest in mental health, such as psychiatrists, nurses, psychologists, police officers and bloggers, all get on together (most of the time!). It's a great place to pose a question or discuss thorny issues relating to the Mental Health Act, the Mental Capacity Act and mental health in general. Follow the Masked AMHP on Twitter! You can follow The Masked AMHP on Twitter: @MaskedAMHP You know you want to. If you sometimes wonder what all the jargon and abbreviations on this blog mean, you can find an explanation here. I am an Approved Mental Health Professional and Practice Consultant working for a local authority AMHP Service in England. I have practiced under 3 Mental Health Acts, since as long ago as 1981, even before the 1983 Mental Health Act. Which makes me pretty ancient now. This blog is designed to illuminate and explain the functions and dliemmas of an AMHP within the Mental Health Act. It is intended to be of help to professionals and service users alike. I hope that it is both informative and entertaining. I am also a freelance trainer, and teach mental health law on an AMHP course. I've appeared at conferences all over England and Wales. If you'd like to book me for your conference or training event just send me an email.